This is EXACTLY what I need. 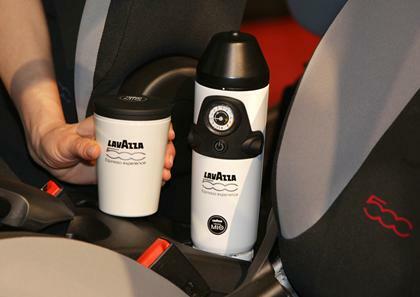 According to USA Today, Fiat has teamed up with the Lavazza to create “the first standard-production car in the world to offer a true espresso coffee machine”. The new Fiat 500L is a slightly larger four-door car that has intergated the espresso machine (with matching cups!!! ), but it will be available without it as well. 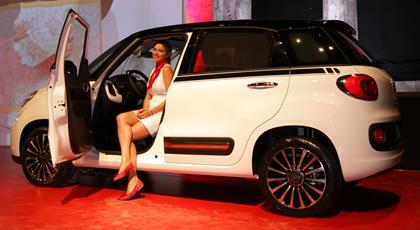 The new Fiat 500L goes on sale in Italy first, of course, in October, then it'll make its way to the US in 2013. However, even though the new 500L is far more Italian than the Olive Garden, it will have a touch of America by adding the Beats by Dre sound system. You gotta love it. P.S. Lavazza is the Italian version of Starbucks and Dr Dre must be filthy rich from the Beats by Dre empire.